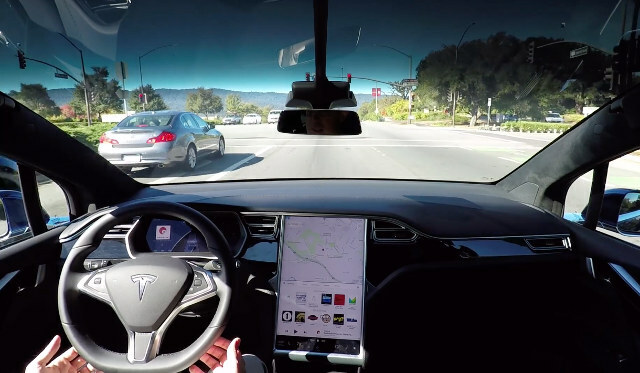 Behold The Future: Tesla Demonstrates Fully Self-Driving Capability | OhGizmo! So You Want to Build a Smart Garage? Start With These Gadgets. By David Ponce on 10/24/16 • Leave a comment! If you’re an automotive enthusiast, enjoy the next five, maybe ten years. After that, we suspect insurance prices are going to start getting prohibitively expensive for anyone wishing to get around using meat-based drivers. Tesla, of course, is paving the way for such a future. They’ve recently announced that all Tesla cars, including the forthcoming, relatively-affordable Model 3, will come with the required hardware for full autonomous driving capability. And you just know that these cars will be considerably safer than your text-driving, drunk-driving, distracted-driving selves. Watch the video below to see what that future might look like. The driver in the video is only there for legal purposes, since our laws haven’t quite caught up with advances in technology. But make no mistake: they will. Despite the odd incident here and there, self-driving cars have already shown to be safer than humans and will be getting even safer as the tech is refined. So go ahead and enjoy what’s left of the era in which humans actually drove themselves. Full Self-Driving Hardware on All Teslas from Tesla Motors on Vimeo.